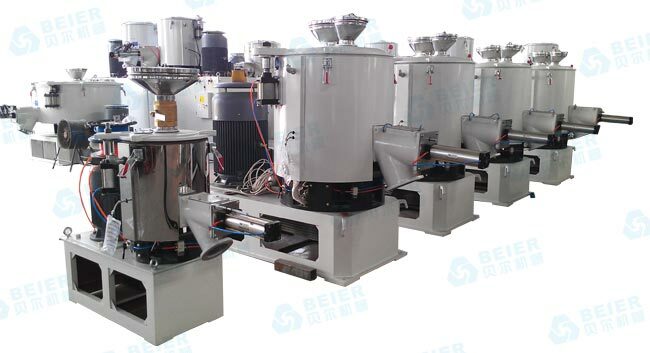 In the process of using PVC high-speed mixer, there may be abnormal situations in some time, and people should do a good job in dealing with the related aspects actively so that the entire problem can be better solved. In the end the process of using the device, if there is an abnormal problem, we deal with the specific methods are what, the user should understand these aspects. PVC high-speed mixer in the use of the process, if there are some unusual circumstances, we must find the right approach. In general, when an abnormal situation occurs, stop the use of equipment in a timely manner, and follow the correct procedure to shut down the equipment, so as to minimize the loss. Any user should grasp the most basic guidelines in this regard, do not make mistakes in the panic. In some cases, high-speed mixer problems appear relatively small, if the operator knows how to solve, we must timely understanding of these issues, and really use the right way to solve. Many of the equipment problems come from a small problem, if you do not deal with small problems, then in the future is likely to lead to more serious problems, doing so will directly affect the future use of the device may have a life expectancy will have Affected. Learn to deal with the abnormal situation of PVC high-speed mixer correctly to ensure that the equipment is always in normal condition when it is used. Only when we deal with these aspects better, all the use There will be greater protection. Next: What Are The Factors That Affect the Mixing Quality of The Mixer Machine?